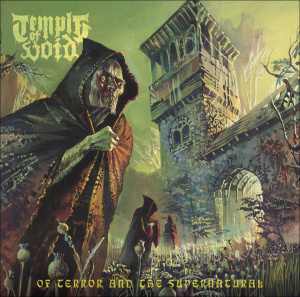 A band from the United States named Temple of Void will be the subject of this “review” today, or better, I’ll share my humble thoughts about their début full-length album “Of Terror and the Supernatural”. Here’s their biography: ToV is an uncompromising collaboration from the depths of Detroit. Comprising of five musicians who have put in decades of time in the Detroit underground, ToV entered this world with singular focus and methodical execution from the start. 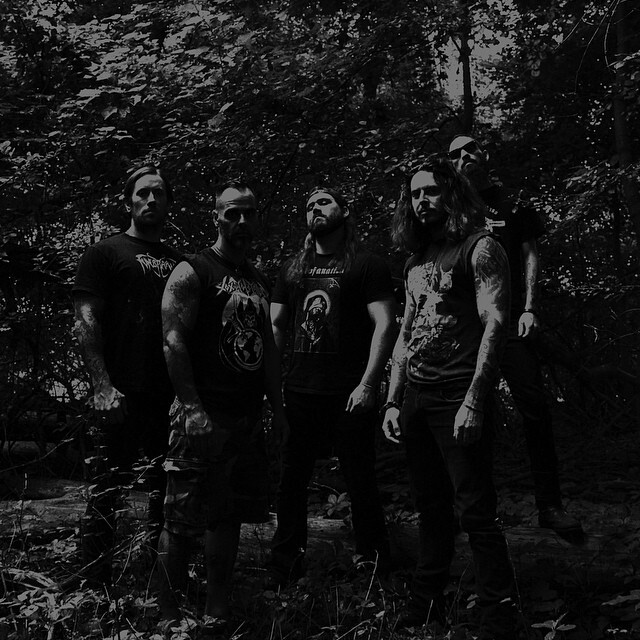 ToV harkens back to the somber sound of early British doom, while channeling the energy and devastation of old school American death metal. ToV destroys all. Temple of Void’s début album feels dark, raw, and dirty. Much like the band’s name, there’s also this since of void, oppression and fury. What else can I say about the album’s atmosphere? It’s suffocating, evil, feels very miserable and anguished. I’m not talking about depressive/ melancholic music, but what the best Doom Metal bands aim with their music, deep misery, discomfort, but with very qualitative music. 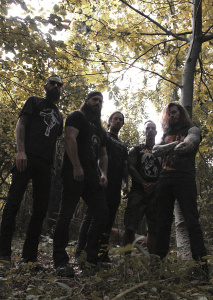 When it comes to the music, a description of it, we have a blend of Doom Metal and old-school Death Metal, mixing British and American influences. Sure, this is on their biography, but I believe I should point it out that they managed to gather the best of both genres: chugging Death Metal, up-tempo and slow Doom Metal riffs, an almost “ritualistic” drumming, deep growls, heavy bass, all crafted with excellence. The music is varied and not really repetitive, with atmospheric elements and an outstanding acoustic song that is simply a delight to the ears. All in all, a work that caught my attention and definitely made me interested in “Temple of Void”. As for the production, it’s one more positive aspect of this album, like I always say, and not only me, of course, but many, many others, if you can hear all instruments clearly as well as vocals, the production is nothing but commendable, which is the case here. I urge you all to check “of Terror and the Supernatural” and if you like the music presented in this album, I ask you to, please, find a way to support Temple of Void, in order to keep the band alive.